Main Street Properties and Development was founded in 2011 when two families established their vision that quality and integrity be incorporated in all aspects of their passion for real estate. Whether building custom homes, condominiums, apartments, town-homes, or developing mixed-use and commercial properties, they commit to work with sincerity and trust-worthiness. We are excited about our current projects and developments. Whether you need a spacious, urban home, desire a luxurious condo close to amenities, or are looking for a custom home on an estate lot, we welcome you to take some moments to browse through what is available. Please contact us for additional information or a viewing of any project of interest. We are a Full service Luxury Home Building and custom Remodeling company specializing in High-end Luxury spaces and creating your dream space into reality and beyond. Est. in 2008 Founder Brendan Mylton has an Mechanical Engineering degree and started flipping highline houses in the Charlotte and greater area until he decided to provide building and renovation services to everyone. His design, budgeting, project management, and resources for creating commercial spaces in residential settings are unmatched. knowledge of keeping costs down in luxury flip houses while still providing a high quality product is not something anyone can handle. Call for an appointment consultation. For Myers Park residential home builders who also act as developers, the job starts well before the first nail is driven. They perform local market research to determine whether the prospective homesites make sense in the Myers Park, NC market, as well as survey the land on which the house will be built to make sure it is suitable for construction. Custom builders also obtain the necessary permits. 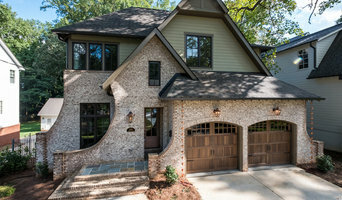 A good custom home builder in Myers Park, NC has skills that go far beyond construction — he or she must supervise subcontractors and artisans; keep tabs on local zoning regulations, building codes and other legalities; inspect work for problems along the way; and perform dozens of other roles that are essential in building a quality house. Here are some related professionals and vendors to complement the work of home builders: Interior Designers & Decorators, Landscape Architects & Landscape Designers, Architects & Building Designers, Kitchen & Bath Designers, Specialty Contractors. House builders are responsible for ensuring that the home-building project sticks as closely as possible to the specified timetable, particularly in the event of change orders. 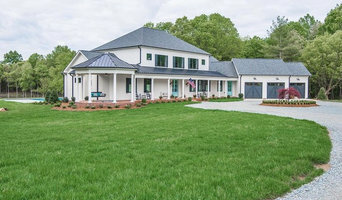 Custom and luxury home builders in Myers Park, NC also need interpersonal skills to deal with clients of all types, soothe frazzled nerves, negotiate conflicts and resolve problems. Find custom home builders in Myers Park, NC on Houzz. 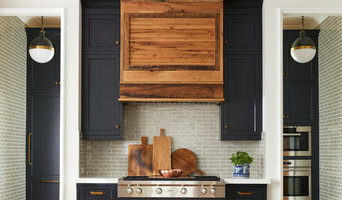 Narrow your search in the Professionals section of the website to Myers Park, NC home builders. You can also look through Myers Park, NC photos to find a house you like, then contact the builder who worked on it.